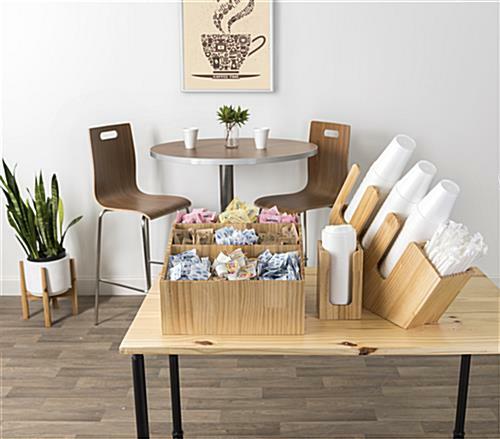 This coffee cup and lid organizer features a slanted, tiered design that provides optimal visibility to all three stacks and saves precious countertop space. 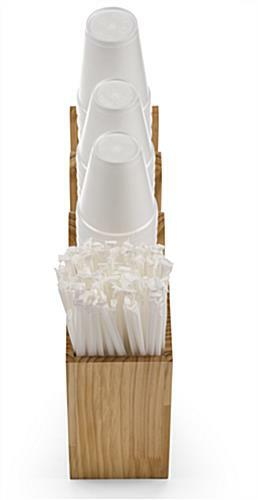 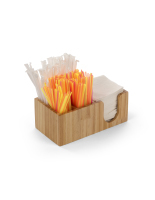 A plastic straw and stir stick holder at the base makes this caddy an all-in-one drinkware dispenser. 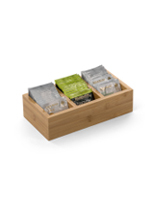 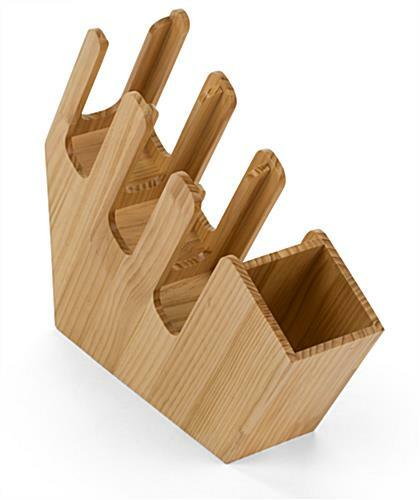 This wooden coffee cup and lid organizer has side cutouts to allow for easy access, even when supplies are running low. 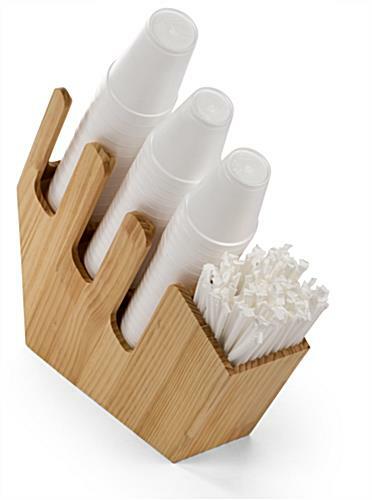 An open-top design means that you’ll never be surprised when it’s time to refill. 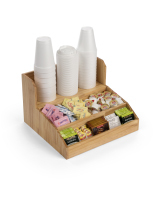 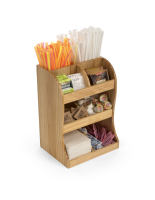 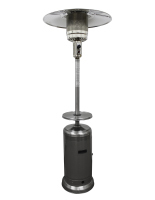 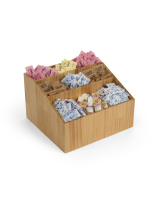 The natural pine wood finish lends a comfortable, homey feel to any self-serve drink station. 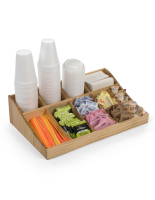 Keep your countertop beverage area neat and tidy with this coffee cup and lid organizer. 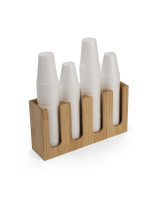 4.6" x 16.5" x 19.1"
3.9" x 8.0" x 3.9"
3.9" x 8.0" x 4.0"